An expansion to the board game of Egyptian war and myth, Ta-Seti brings you to the underworld, adding a black pyramid and associated powers, an entirely new board which lets you upgrade your armies through the Path of Souls, and new rules for turn order and scoring. Players must select which 3 of the 4 colors of pyramid they want to start with, further differentiating their strategic options - while making sure their plans coincide with their trip down the Path of Souls. 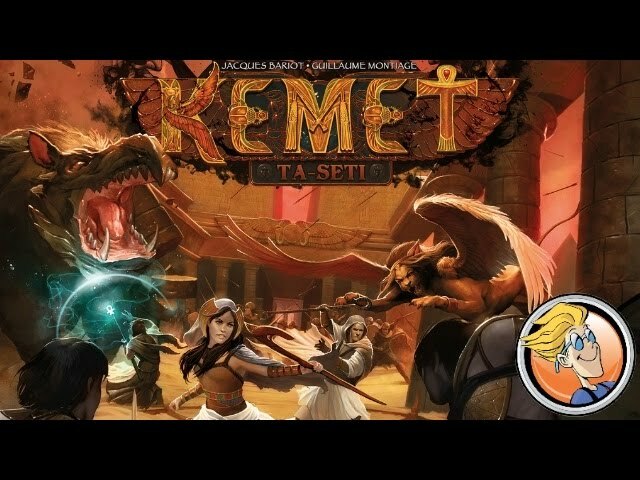 Buy Ta-Seti if you love Kemet and want to add more variety, options, and strategic depth to your base set.